Today is the day! Finally pulled the trigger to pick this puppy up from Vintage King! Surprised they had the best price and the only 395a pair I’ve seen on the market. Serviced by a legendary tec so I know they couldn’t be in better shape. I ran over to pick them up and came right back to the studio to plug em up! I have to say, all credit goes to my buddy Felix in Germany. 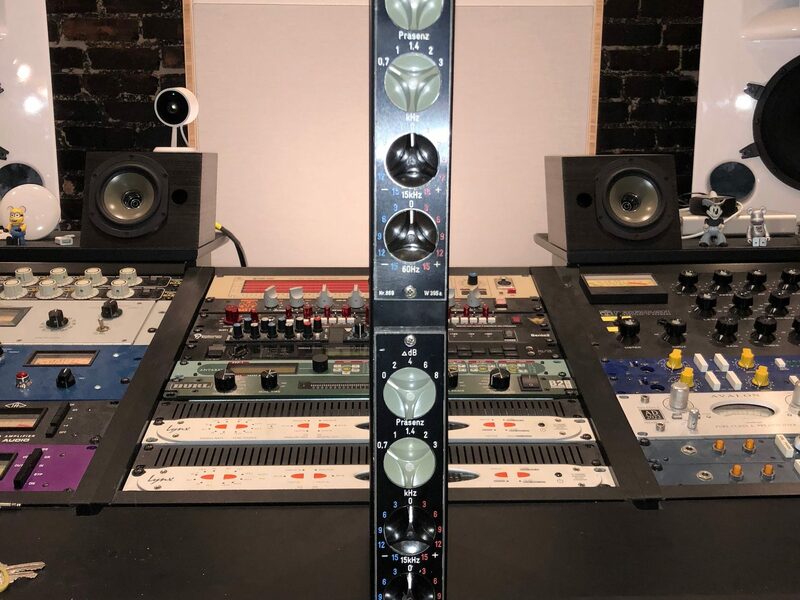 We connected on Instagram and he told me about these EQs. He said they’re part of his holy grail and I found out why when I did a quick demo with these. Mind blowing results just running them through the EQs without adding/cutting anything. Today is the day! Finally pulled the trigger to pick this puppy up from Vintage King! Surprised they had the best price and the only 395a pair I’ve seen on the market. Serviced by a legendary tec so I know they couldn’t be in better shape. I ran over to pick them up and came right back to the studio to plug em up!